It doesn't get much scarier than this. 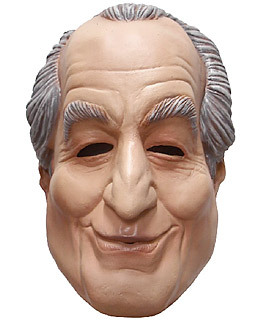 While Bernie Madoff himself is safely behind bars, several costume companies have decided to capitalize on the Ponzi schemer's status as the most despised man on earth by creating gnarly rubber masks bearing his likeness. Costume manufacturers Rubie's Costume Co. told the Associated Press that more than 15,000 revelers had purchased a Madoff mask so far this month. Read about Bernie Madoff in "25 People to Blame for the Financial Crisis."